CO2 Emissions Surge: Greens “Disappointed” by Economic Growth | Watts Up With That? A new report by the Global Carbon Project, an international research consortium, predicts that carbon dioxide emissions from fossil fuels and industry will rise 2 per cent this year. The report was released at the UN climate change meeting in Bonn on Monday. “Emissions are following what countries have pledged — but what countries have pledged is nowhere near enough to meet the Paris objective,” said Glen Peters, co-author of the report and research director at the Center for International Climate Research in Oslo. The Carbon Project report is available here. Remember all those wild green claims that economic growth had been “decoupled” from CO2 emissions? If the Financial Times authors are right, the whole decoupling thing was a mirage, caused by dodgy economic growth figures from the Chinese Government, who allegedly concealed the true magnitude of their country’s problems. Now the global economy has finally turned a corner for real, King Coal is back – as always, the engine of global prosperity and rising living standards, especially for the world’s poorest. November 14, 2017 in Economy-health. Thanks Eric, for your many invaluable submissions, that keep us abreast of world-wide events involving AGW promotion efforts by its crusaders. I thought those wind turbine thingies were supposed to be making fossil fuels uneconomic. They’re building them everywhere. Ditto for solar panels? Where’s the beef? Surely the massive move to renewables has had SOME effect on CO2 levels, no? It has the opposite effect on CO2. http://bit.ly/2gwbHyC At least for the first several years, but then you have to replace them. Only when the sun shines and the wind blows. Turbines & solar are only part time; fossil fuel plants are always required & are on standby. In this ‘tickover’ state they generate more ghgs than ever leading to ever increasing emissions of CO2. Only the half witted greenie liberal democrats could dream this up. Oh dear, that is a sticky wicket. China being the new “climate leader” and all. Palm neet face. Yes, leadership! What Green heroes. Who needs to sell solar panels? Who already (by 2013) produces too many and becomes a leader by installing the surplus at home? Good thing all those solar panels they are “churning out” are organically grown and compostable! The Paris Climate Agreement – AGREED – to a 46% INCREASE in CO2 emissions between 2015 and 2030 – including a Doubling of China’s emissions and a Trebling of India’s. And that increase is After the reductions in emissions from the developed world. So why would anyone be surprised or puzzled by CO2 emissions continuing to rise ? Did they just listen to the propaganda that came out of Paris rather than bothering to look at what was actually agreed ? My take on the agreed increase was and remains very simple – it is that the clmate alarmists at Paris believedl that a 46% increase in CO2 emissions would have no measurable effect on global temperatures. To the UN, it is not about emissions but sovereign submissions. No, it’s about transferring other people’s money, to them. In light of China being the likely culprit, it now shouldn’t matter that the U.S. is out of the Paris thing-a-ma-jig extortion scheme. Tom, they still want our money. More, they still NEED our money to maintain their current life style. Honestly Tom, that is just so wrong-headed. I’m glad you boys have found each other here in this forum. You can natter away to each other to your hearts’ content and will do no harm. Nobody is listening to your crazy slant on reality. So Jack, you just “believe”.. because you very obviously have zero scientific knowledge. You can live in your little “make believe” world and continue to consume fossil fuels etc while ranting mindlessly about “global warming” or some other non-event. the word is GULLIBLE !!! And yes, people like Donald Trump ARE listening. 1600 new coal fired power plants being built around the world. Increase of some 40% percent of CO2 emissions. Great for the world’s plant life , and in fact ALL life. Gee AndyG – it wouldn’t surprise me to find Trump does read you guys. That is the level of intellect you hope to impress? You may well succeed to that extent then! It’ll do you no good – Trump is fast discrediting the right wing personality syndrome. Well Jack, you have contributed exactly zero to any articulation of “science” or why CAGW is so bad, or exactly how the Parris Accord would solve any problems even if implemented. However, you have ignored tens of thousands of PHD scientists, and well over a thousand skeptical peer reviewed papers. I suggest you begin with reading the NIPCC reports. You must be sexist AND racist. Your desperation is showing…. along with your zero intelligence or science comprehension. hey Andy – how many coal plants being built in the US? None isn’t it? and 12 or more closing this year? Honestly I don’t understand giving China a free pass to emit and then going after Trump supporters like you did. Wow Jack, such a witty comeback. I would ask if that really is the best you can do, but we both know that it is. Ooh boys – temper, temper! Remember I have zero science, zero intelligence, I’m racist and sexist…in truth I’m just a blade of grass who’s found a cell phone lying on a lawn and I’m winding you up. I LOVE CO2! You boys on the other hand, are so SMART – please be kind to a blade of grass! Go on, make all the CO2 you can – I LOVE IT! I don’t give a damn about your species or any other damn species – FEED ME! Don’t feed the troll. Let his comments pass without acknowledgement. Tom in Florida, how are those sunny day floods behaving? GAS, griff. and you KNOW that. ! Why display you continued ignorance, as you do in every post. So the countries that planned to increase emissions as a “catchup” to the west are now doing it and raising overall world emissions. What a surprise. Not to mention the help they are giving other countries, 1600 new coal fired power stations around the world, so I’ve heard. What is really bizarre, is that there are still many AGWers that seem to WANT this destruction of their lifestyle to occur. Well the greens have always flirted with being a death cult. Just look at their high priests like Ehrlich and Holdren. “What is really bizarre, is that there are still many AGWers that seem to WANT this destruction of their lifestyle to occur. Either that, or they are SO DUMB, that they don’t realise it is happening !! U.S. signed onto the 1992 Earth Summit. Andy, what is fully understandable is the reaction against knowledge and its acquisition evidenced in this forum. Sad, but an expected aspect of human psychology. What your ‘AGWers’ want is timely action, informed by science. That is what you guys are arguing against. But AGW its NOT informed by science… it is uninformed, model based nonsense. There is no empirical proof that CO2 causes warming in or convective atmosphere. No sign of CO2 based warming anywhere. You believe in CO2 forced AGW, then have signed up to a FABRICATION, a MYTH … a LIE ! The world’s losers are using the green cult to destroy those who have succeeded. Like socialism, it’s a philosophy based on jealousy. Or, perhaps, that they intend the destruction of – wait for it – other peoples’ lifestyle. But not their own. Certainly not. Maurice Strong – although he denied it – was rumoured to be a billionaire, at one point [per the ever correct, peerless, Wikipedia]. Germany got 38% of its electricity from wind/solar/biomass (no imported wood) in the year to end October. It got 44.1% of its electricity from renewables in October. So thanks for asking – its doing fine. Renewables from the total primary energy consumption is about 15%. So pick a month and talk about electricity if not even just generated electricity and not the total consumption equals misleading or possibly bullshitting. Griff, all the news that’s fit to make up. If you are ready to pay the 2X price, you surely can have much renewable. German leaders decided they wanted to do that. Not sure all German people agreed. Actually, if they agreed, leaders wouldn’t need to subsidize renewable with special taxes that double the electricity price: people would buy them of their own even if they are more expensive (especially when some dummkopf believe they aren’t even more expensive…). It take the same kind of dummkopf to boast about this, as if it were some success story for renewable. Come on Griff, these boys don’t want your numbers, they want FACTS. Don’t claim your numbers are facts, the boys will decide what facts are thank you. Some claim it is a fact that the boys are ignoring the entire body of planetary science built over many decades – but that is not a fact, is it boys! How are the woodlands that have been cut over for wood pellets farming? Are they replanted or undergoing natural regeneration? If the latter then experience in the UK shows that problems could arise with deer and rabbits grazing the regrowth. Has anyone some pictures they could show of the cut areas and regrowth? Put cats in the regrowth areas and they will take care of the rabbit situation. Cats get the baby rabbits. So the country that is ‘championing the way to renewables’ is using even more coal than ever. Every time someone makes that ‘China / renewables’ claim from now on, show them the above article. Awe shucks, and I was sequestering my carbon in balloons for nothing. Has anyone here seen the questions asked in the “Green energy barometer; that Ørsted, former Dong made regarding peobles perception on “green Energy”? I have looked for the questions but not been able to find them. There never was a decoupling, and the three year supposed slowdown was a figment of economic imagination—likely China’s. Mauna Loa showed no such thing in the Keeling Curve. Your unstated assumption is that it is anthropogenic CO2 that is driving the Keeling Curve. The satellites are hard pressed to identify the industrial anthropogenic sources, while the natural sources for the Carbon Cycle are quite obvious! Some amount oft the manmade CO2 stays in the air. Some of it goes into the biomass and is released in fall/winter. This you can see at the annual pulsing of the Keeling Curve. Some of it is absorbed by the cold polar oceans and some of this is calcified there. Some of it is released years later in the warm tropic oceans. This release seems to be controled by global temperature with some months time lag. The problem is to quantify the amounts. What we know is an increase in CO2 in the air since the 1950ies of about half the amount which is released from burnig fossil fuels. The amount of CO2 in the atmosphere is higher now than some thousand years ago. And the plants are LUVING it !!! The words “futility” and “failure” spring to mind. The CO2 growth rate is going to be down considerably this year after the 3.0 ppm rise of last two years due to the El Nino. Month over Month CO2 growth down to 2.0 ppm in October and the Week over Week increase is just 1.4 ppm. It could average below 2.0 ppm for the year which would be the lowest rate since 2012. And now is the full climate treachery of Obozo’s climate “deal” with China laid bare. That’s precisely what the moron – or more likely western economic saboteur – signed up for. He not only utterly screwed over those who wanted carbon dioxide reductions but was attempting to utterly screw over the entire US economy simultaneously. Why aren’t FT ranting about the Obama “deal” which made this outcome inevitable? It was inevitable anyway but any way you stack the “deal” it had only a single conceivable purpose and that was to cripple the US economy while boosting the economies of its major competitors and distributing its remaining dwindling wealth around the globe in “climate reparations”. How that thing is still at liberty in the US is forever beyond me. There is a lot more to the story of global economic growth changes than China. The Bloomberg wishful thinking is here. This amounts to IEA writing the 5-year plan, with fiction. In terms of climate change it just does not matter. There is no real evidence that CO2 has any effect on climate and plenty scientific rational to support the idea that the climate sensivity of CO2 is zero. If CO2 really affected climate then the rise in CO2 over the past 30 years should have caused at least a meaureable increase in the dry lapse rate in the troposphere but that has not happened. The AGW conjecture depends upon a radiant greenhouse effect caused by trace gases with LWIR absorption bands. The radiant greenhouse effect has not been observed on any planet in the solar system including the Earth. The radiant greenhouse effect is science fiction. Hence the AGW conjecture is science fiction. What the article failed to point out is that the people who sucked up the green government corruption dollars have done quite well over the last several years. Now that the working classes around the world are getting some relief, they will crush us back into poverty with their green communist fists. Shame on us for making a living at the expense of Gaia but it’s OK to become rich like AL Gore at our expense. It is fiction indeed. In fact, as has been demonstrated in a recent post on this site, the slight uptick in surface temperatures since the industrial revolution began can easily be explained by assuming a random walk. 70 up years, 62 down years. No big deal there. Regardless, it’s going to be hilarious watching the COP23 partygoers try to put a brave face on all this. How is it that CO2 is rising cataclysmically in 2017? According to: https://www.co2.earth/daily-co2 , CO2 was 412.63 ppm on April 26, 2017 (NOAA-ESRL) and is now down to 404.51 ppm on November 13, 2017 NOAA-ESRL (that’s 0.0405% of the earth’s atmosphere containing a life-sustaining gas). And, on November 13, 2016, CO2 levels were at 402.47 ppm NOAA-ESRL. Again, how is this cataclysmic and where are they getting their CO2 figures? Apparently not Mauna Loa. It’s imaginary math, Fred. It comes under that heading “It IS if I say it IS!” and facts are ignored. CO2 drops during the growing season. Either adjust for expectations or only compare year-to-year. Don’t compare April to November. At least 400m people are dependent on coal for space heating and cooking, 234m of them in China. If the atmosphere is a shared resource, they have a right to emit into it on an apportioned basis (if you believe in fairness). 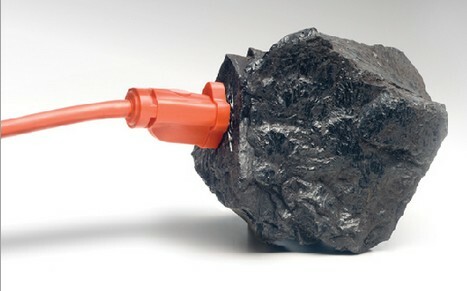 Emissions from coal burned to generate electricity should be accounted in the same manner (if fairness still applies). I’d like to see a per-capita emissions inventory for basic electricity and domestic needs. The arguments might shift opinions about who emits what and where. France has the lowest CO2 Output per Capita. India is No. 20, Germany No, 29 and the US are somewhere at No 40. This is from a recently ranking of 60 States. Here is the link to the Climate Change Performance chart. US Rank 43, China Rank 48, Canada 55, Australia 57, Saudi Arabia, the last: 62. That graph is just some politics. France will increase it significantly, since watermelons succeeded in their german-like agenda: closing of nuclear plant, forbidding fracking for gas or oil, etc. France has just annonced that they will stick to their Nukes bc of having no CO2 emissions. Of course emissions are rising. It’s all that renewable energy! Germany #1 CO2 emitter in Europe, That’s ‘Energiewende’ for you! You have seen the IEA forecasts for coal out to 2040 just published? The anti-CO2 agenda will be over at some stage griff. The clean-up bill for removing defunct wind turbines and toxic solar panels will be enormous. When the coming cooling trend starts to bite, the AGW idiocy will collapse into the abyss. That’s the same group that said US shale oil would be a non-issue for markets in (now) less than 10 years. But-but-but China is the new LEADER in the FIGHT against CLIMATE CHANGE. Well they. They fight actively to prevent any cooling, just in case. Would someone like to explain to me how global CO2 emissions are measured? Of course it’s impossible. The figures given are nothing but a guesstimate, and there is no way at all to measure natural emissions. The emissions can be calculated by the sales numbers of fossil fuels. This is fairly exact. No more subsidies for this quackery! EVER! There is ZERO excuse for depriving people of light and heat in the winter, especially since the forecast for Europe/Germany on Accuweather said ‘lots of snow and cold’. NO EXCUSE for it. This isn’t the Dark Ages. Sara, unfortunately as far as energy is concerned this IS the Dark Ages in the West. Instead of real, data-based science leading to sensible evidence-based energy policies, we have religious beliefs and voodoo economics driving virtue-signalling policies that are destroying our reliable, affordable baseload energy sources in favour of unreliable, intermittent energy sources. I could list a hundred essential manufacturing industries that will cease to exist in the West if we don’t stop this madness – e.g. having to import all our steel, copper, aluminium, nickel, etc. instead of smelting it ourselves, increasing costs and destroying employment, for what? How is it ascertained definitively that this is due to humans? Seems to me that this must be a terrestrial cause more than humans, especially given that the last few years is flat, and now a projected 2% increase? We certainly didn’t have a global recession the last 3 years that led to less CO2 production, especially given we just had a significant El Nino in 2015/16 which should have produced the opposite, which would be more natural CO2 outgassing. And now with cooling Pacific oceans, that should see some uptake of atmospheric CO2. It just doesn’t add up to me, but then what do I know. Maybe I missed something. Possibly there is a time lag between ocean temperature rise and outgassing. Plus the annual swinging. But the plants still LUV it, don’t they griff. Its all just FUNDAMENTAL BUILDING BLOCKS for them. MUCH more needed though, wouldn’t you agree. ! Philosophically, your point is invalid. The emissions are not that easily attributable as the reason, as upwelling sea surf. temps also affect the result. It is like telling 180% of the atmospheric co2 increase is due to human emissions! Which probably kind of holds. Nope, the same “isotopes” come from natural sources too (and nobody is measuring those) so that argument has long been a non-starter. This one draws/begs the question as to define the signal seen at Mauna Loa and the signal calculated by adding up everyone’s consumption of coal, gas and oil. Where is the connection between emissions and the amount (ppm) of CO2 recorded – where does the CO2 actually go? But we are now finding out – it accumulates over Equatorial/tropical forests – OCO2 Sputnik tells us so. How do warmists explain it? Please. I really do want to know. Also exactly how an alkali thing like ‘The Ocean’ is going to spontaneously give up (out-gas) and acidic thing like CO2? Utterly trashes Entropy and Le Chatelier. Then the height of the 254Kelvin isotherm is rising = increasing in area at 350,000,000 square metres annually. That is a heat loss – NOT heat trapping. Trapped heat would mean the isotherm would be falling. Then some muppets recently here claimed that absorbing solar radiation in the atmosphere will have a greater heating effect that absorbing it on the ground. For the air yes, but the atmosphere can and does dump energy faster than a really fast thing. Does NOT warm the surface – another cooling effect. Also, the spectrum of the radiation leaping off that point is ‘flattened’ and ‘more diffuse’. Lower peaks within it. THAT stacks up perfectly with GHGs not actually ‘trapping energy’ and or reflecting it to the surface but smashing the upwelling photons into more numerous but smaller, less energetic and colder photons scattered across the spectrum. Like the phosphor in a fluorescent tube. Thus GHGs are speeding the descent of energy down the thermal gradient that exists between here and ‘outer space’. They are having a cooling effect – easily understood by their high molecular weight compared to oxygen and nitrogen. THAT is why Al Gore features in the Fail Files here – his experiment MAY have had some trapped energy but its effect was swamped by the high thermal conductivity of the CO2. Can we even measure CO2 emissions from “fossil fuels and industry” to within 2 percent? We are measuring atmospheric CO2 Patrick. That is easily done accurately. Industrial emissions are estimated from fuel consumed, industrial methods etc. Not so accurate, but accurate enough to draw conclusions. the developed word paid its own way, installing fossil fuel power and using the wealth creates to clean up emissions. none of this had anything to do with co2. now China and India are being paid to cleanup their emissions under the umbrella of co2. again nothing to do with co2. rather because the people of India and China don’t like dirty air. question. why the double standard? If there has been three years of zero growth of CO2 in the atmosphere, then why is it that China are being blamed for the sudden increase. China has been building power stations and developing their industry for a number of years now, all of which must surely have had an effect on the gradual increase of CO2 over the last four years. So how do the ‘experts’ come up with their conclusions, and how do they know that China is the sole culprit? Surely India, Pakistan and other rapidly developing countries must have had some effect, not just over the last year but over the last four years..
We need to join the earth’s biosphere and celebrate when CO2 reaches 500 ppm! That would be a authentic “Earth Day”. Then only 500 -1000 ppm more to reach optimum levels. Hear hear! If plants could protest, they’d have signs saying “CO2 – It’s what’s for dinner”! And this is the high moral ground.